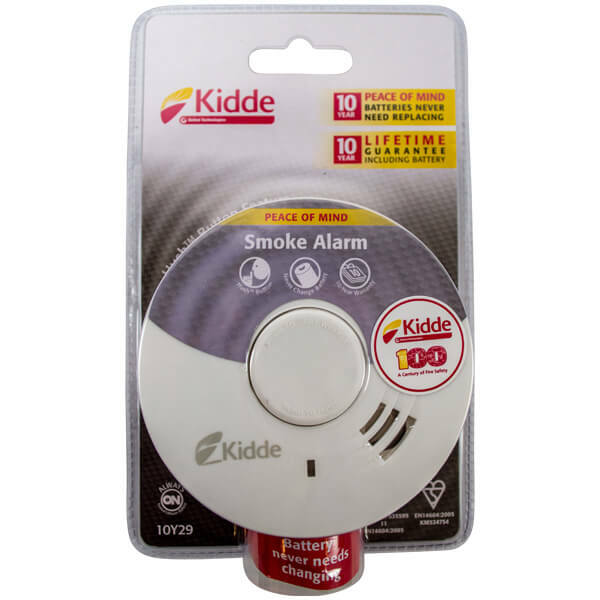 The 10Y29 model by Kidde is powered by a lithium battery. The battery has a long 10 year life, is sealed, and never requires replacement. At the end of 10 years, the smoke alarm should be replaced with a new unit. Features include a hush button for quickly silencing nuisance alarms, and a battery check button to ensure the battery level is acceptable. 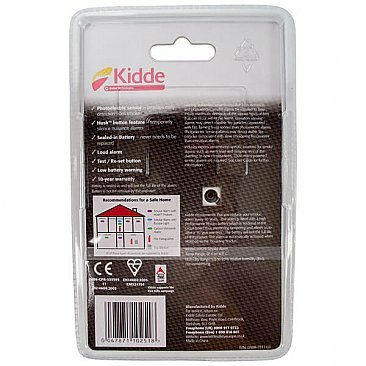 Smoke alarms that utilise optical detection technology are designed to detect smouldering fires and materials. This unit is ideal for bedrooms and living rooms. 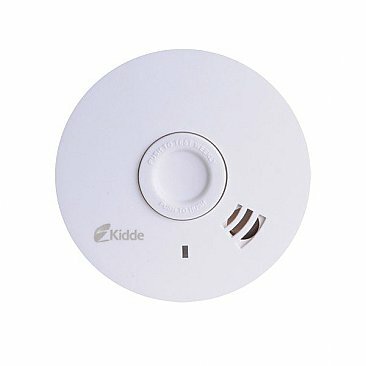 Do not use this or any other optical alarm near a shower room or kitchen. The measurements of the 10Y29 are 104mm in diameter, and 42mm in depth. BSi Kitemarked to EN14604: 2005, and CE marked. Included in the package is a complete manual, information on the 10 year warranty, and screws for wall installation.